Good things come in small packages, somehow this is true but we can always make things grander in our own way by adding to the beauty of it, by making it look creative and by adding life to the thing itself. Projects and tasks come in various types and the commitment and demand of them is also different however it depends how well a graphic designer plays the role of an artist and carry out stuff professionally to meet the deadlines. Either it be about making a logo design or a typography poster, either it be about making a brochure or a mighty billboard design, either it be a chalkboard for lettering and typography or any bigger designing task; everything takes time to originate. Just amalgamate inventiveness and ingenuity into the compositions so every design that you draw would corner itself out of its uniqueness from other creative oeuvres. 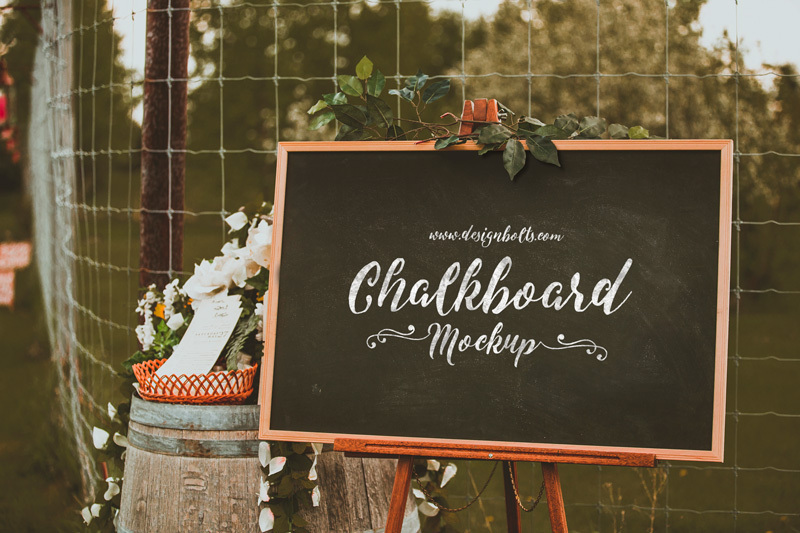 Down here I am putting forward a free chalkboard mockup PSD hat you can use for both commercial and personal projects, it is good and apt for lettering and typography to display a saying, quote or even little menu of a restaurant/direction etc. as per demanded by your client. Mockups are really very helpful to make an impactful presentation, they literally give a crisp and crystal clear idea how things will look like in practical form. This chalkboard that I designed will display words particularly with a good impact, make sure the font size should be bigger and readable to avoid any confusing. For more amazing freebies, mockups and design collection do give us a visit all over again every day and I am sure you will get your benefits out of our efforts. We are a team of professionals who work round the clock to put together the stuff that can educate you, make you aware, keep you updated and also inspire you to do the things in your own way after seeking refuge from the work of experts. Subscribe us to never get stopped on the daily design alerts of the blog.